I like most of the clif bars, but this one is my favourite, it's sweet but not too sweet. I eat these before or after a workout, and sometimes as a snack when i'm not going to eat lunch or dinner until much later. It always holds me until it's time to eat. 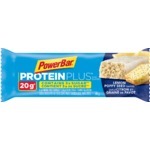 I use these bars when I am running late in the morning and don't have time to have breakfast or put a decent lunch together. After eating the bar I am full for hours unlike any other granola bar snack that just fixes the problem for half an hour. I've used them on hikes as well, great product and this would be my favourite flavour. 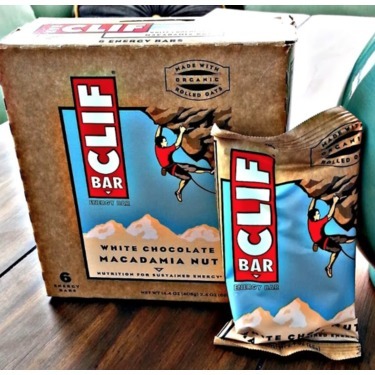 I have recently tried this clif bar and fell in love. It tastes amazing! I would recommend to everyone who loves these flavours. I do have a few clif bar flavours I dislike but this one beats everything! These taste like dense oatmeal white chocolate macadamia nut cookies- with the added benefits of nutrients and vitamins. 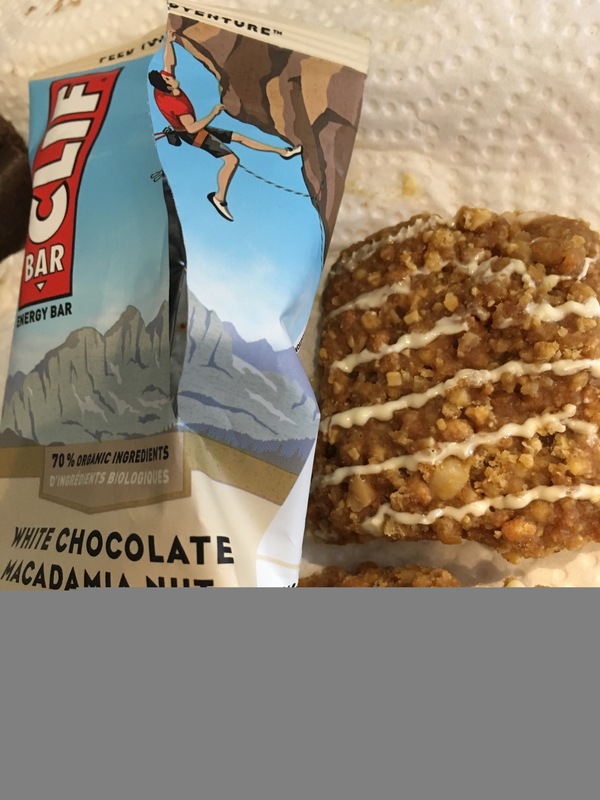 This particular CLIF bar tastes equally good warmed in the microwave for a few seconds (approx. 30) or straight out of the package. There are full macadamia nuts in the bar, which add a nice crunchy texture and nutty taste. There is a white chocolate drizzle on top of the bar, as well as white chocolate chips spread throughout. The oat base tastes wholesome and fresh. These can be found at an affordable price at most supermarkets, and they can often be found on sale. I find Metro tends to have these on sale most often. 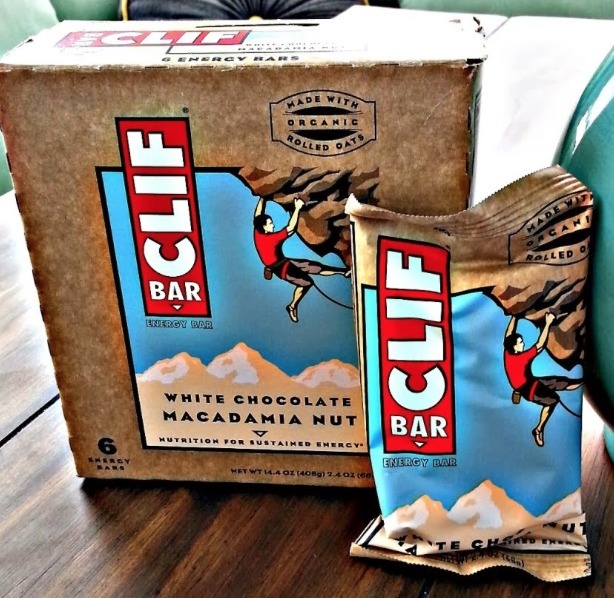 I am a big fan of this Cliff bar. I like this bar both cold and warmed in the microwave for a few seconds until the chocolate has melted. There are chunks of macadamia nuts within the bar so you get the real nut flavor. The texture is also soft yet crunchy. The white chocolate pieces are rich and decadent. Some white chocolate pieces are very bland, but in this bar the white chocolate actually provides a punch. If you eat it warmed it will melt all over the bar and you will get white chocolate flavor in each bite. The bar is full of fiber and other nutrients which is good. I love eating this with a clementine or orange for breakfast. These often go on sale at many local supermarkets or health food stores. I tried the White Chocolate Macadamia Nut the bars tasted great without the waxy after taste that I have had with some energy bars. They are a bit crunchy but soft at the same time. Not to sweet. They did not make me feel full but they did help take the edge off. My only complaint is they seemed to make me more thirsty. This bar is a delight! It is filling, and flavourful as well as small enough to throw in my purse or keep in my car for a quick snack. 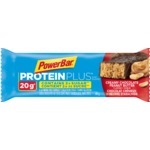 I LOVE THAT THIS BAR ACTUALLY TASTES GOOD, unlike some enter your bars. 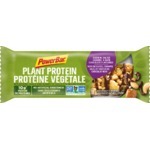 These are excellent energy bars that one could eat throughout the day too give them a good boost of energy. I love that there is macadamia nuts, white chocolate that adds a nice sweetness to the bar. I have heard about these bars for quite some time but never really bothered taking a look at them. They are 70% organic line, tons of protein and fibre, all natural and does not taste chalky at all. The texture is really nice. They are pretty chewy so you get satisfied just after eating one bar. My energy is defiantly increased after I eat one of these so I will have one right before I work out and I always have an amazing workout with these. They are pretty high in calories so I would suggest eating a lot of them, only as a meal replacement or an energy bar supplement. Clif bars are my go to post- work out snack. I tried all the flavors and by far the White Chocolate Macadamia is my all time favorite. It tastes so good for an energy bar. It taste exactly like the cookie. I work out for 1.5 - 2 hours at the gym so I need the energy and eating a full blown meal post-work out is not ideal for me. The 1 bar will last me throughout my workout without me being hungry. I was skeptical but this was recommend by so many people on a forum for fitness/bodybuilding. It actually does taste very good and does keep me full for my entire workout. The only downside is the calories are a bit high and it's a bit sweet. It's good, works well for me and I end up working off more than double those calories at the gym. 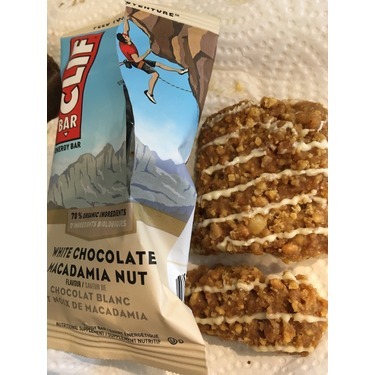 The cliff bars are really good and affordable (depending where you get them). I get mine at costco, I get a box of 18 bars for 16$. It makes it less than a dollar per bar, although If I get them individually in retail store or at school, they are more expensive. 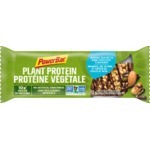 My favourite type of ''granola'' protein bar!